Make your games and computer run faster. A combination of our two products pcmedik and gamegain; gameswift instantly makes your computer faster and fixes common problems associated with frustrating slowdowns and errors and squeezes out every last bit of performance your computer and games are capable of. Do you remember when you first turned your brand new computer on and how fast it worked? With gameswift and a click of the mouse you can bring back this speed to your computer instantly. Gameswift quickly scans your computer for common problems and fixes them, it then makes several permanent changes to windows so your computer feels like it is brand new once again. Don t deal with a slow computer and make tasks take longer to complete, install gameswift and make your computer run faster. Over time as you install new and updated software, you get the impression your computer is slower due to these applications being more demanding of faster hardware. 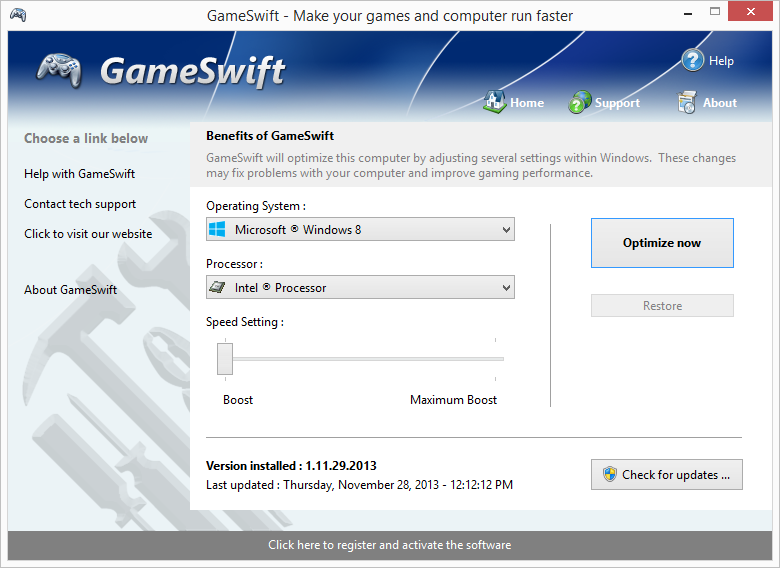 Gameswift makes your computer faster by making several changes to windows settings; for instance it turns off several animations that degrade performance, instructs the cpu how to prioritize background tasks, how files are loaded and written to the hard drive, changes to the way memory is used when programs use the memory swap file and the overall speed of your internet connection and latency. Gameswift makes several windows registry and system changes to increase the performance of your current gaming hardware; this allows you to play the most recent games without having to spend hundreds of dollars to upgrade your hardware. These changes made to your computer improve memory usage, how foreground applications are prioritized with the cpu, hard drive access read and write speeds, how fast graphics can display on your screen, the overall speed of your internet connection and latency. Gameswift does not make changes, no patches and no modifications to games themselves. 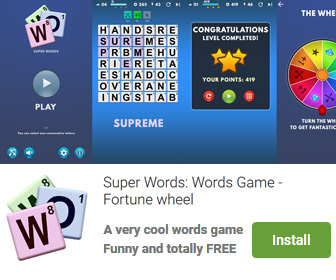 GameSwift is an utility that works under windows xp, windows vista and windows 7. It supports both 32-bit & 64-bit windows editions, therefore it could run faster on 64-bit computers. Estimated download time for GameSwift on a common adsl connection is less than a minute. Version 2.3.4.2019c is brand new and was released fifteen days ago by PGWARE LLC. Click the green download button to download it now.